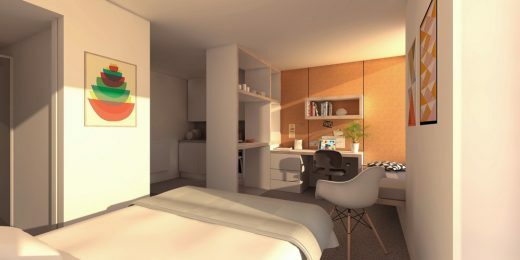 Arts University Bournemouth (AUB) this week held a ground-breaking ceremony for its new £24m student halls of residence. The Design Engine scheme will be home to 300 students and is situated on AUB’s Wallisdown campus. 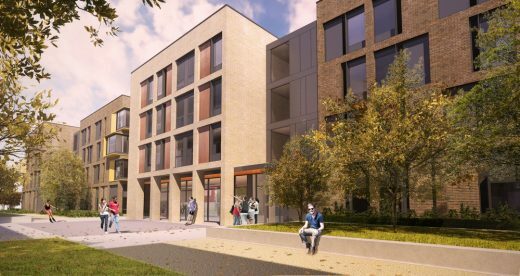 Designed to fit in with the campus’ cutting-edge design aesthetic, the building will feature eight-bed clusters with communal kitchens and dining areas centred around a landscaped courtyard. 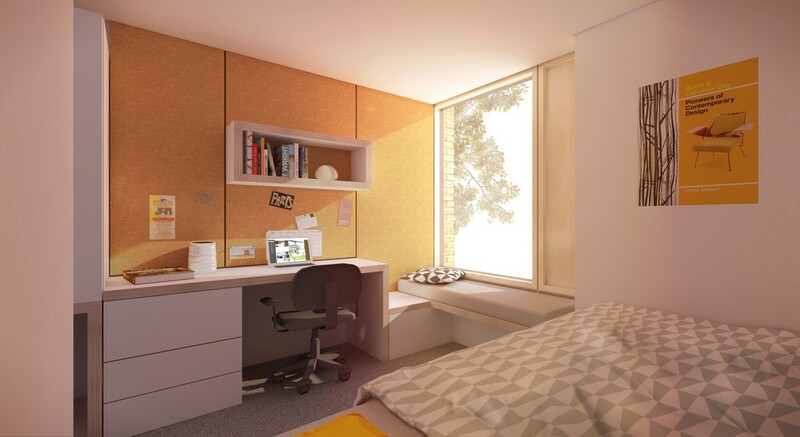 This arrangement provides a mix of spaces to create an environment supportive of students. 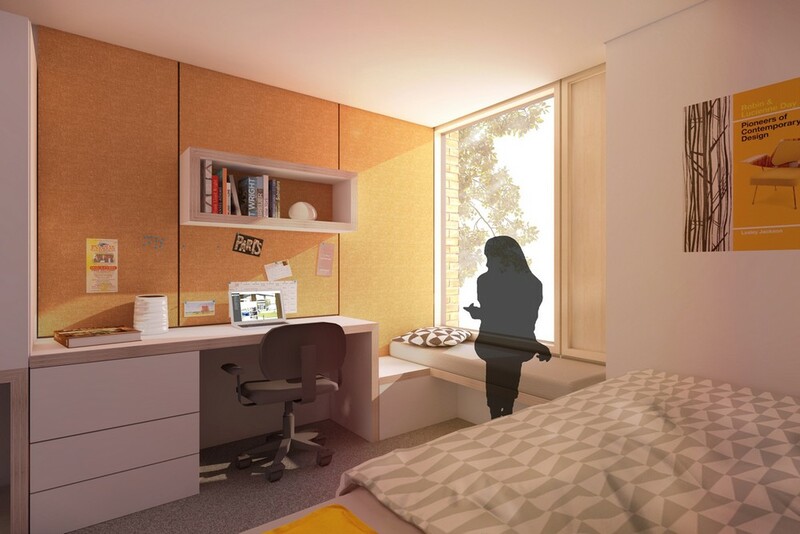 Clusters provide space for smaller student groups to come together within the garden and adjacent communal spaces support larger group interactions. 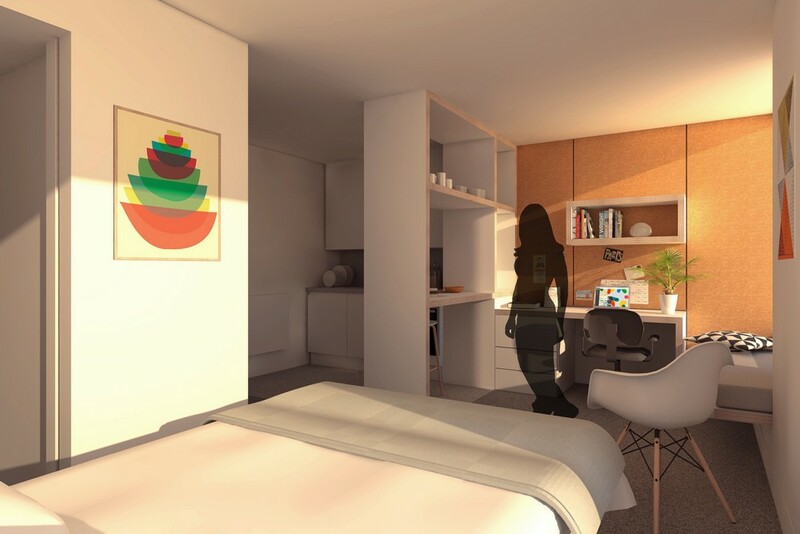 The high quality accommodation includes roof-top solar panels, assisting in reducing the building’s energy demand in conjunction with high performance thermal insulation. 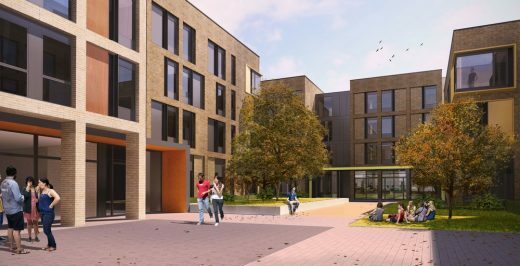 The development boasts impressive sustainability credentials to benefit both students and local residents. 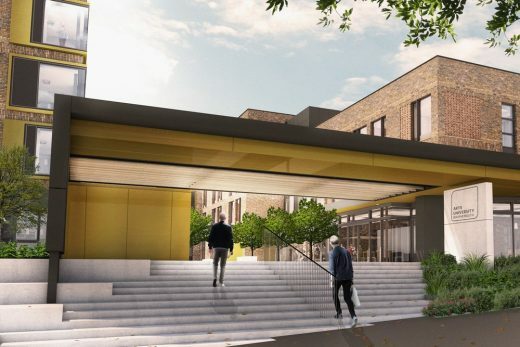 The design includes upgrading the pedestrian and cycle routes that connect nearby areas. Emphasis has been placed on sustainable travel; aside from five accessible spaces, there will be no parking onsite. Ample covered and secure bicycle parking has been integrated into the design, aligning the project with AUB’s travel plan to promote safe and sustainable travel for students and staff. 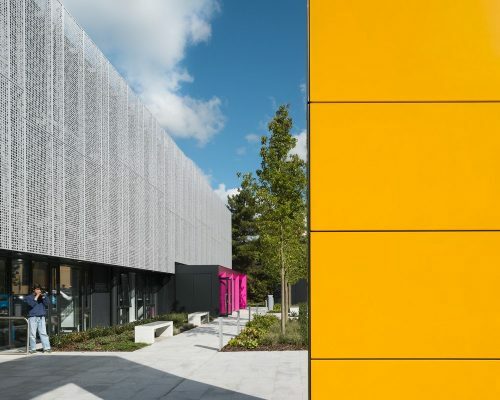 As part of the development, significant consideration has been given to the landscape design with softer green boundary treatment including mature trees, hedgerows and shrubs. Within the development, structured landscaped courtyards have been designed around buildings providing a vital link between external and internal spaces and promoting an environment of wellbeing. 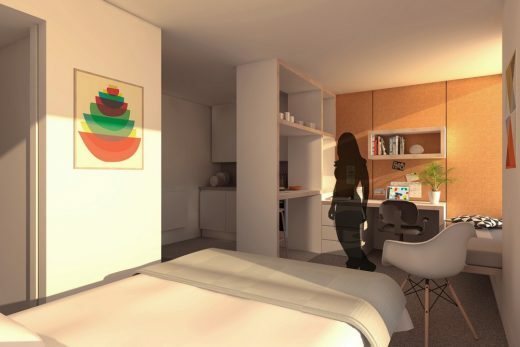 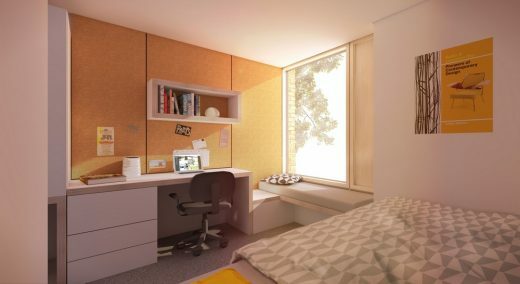 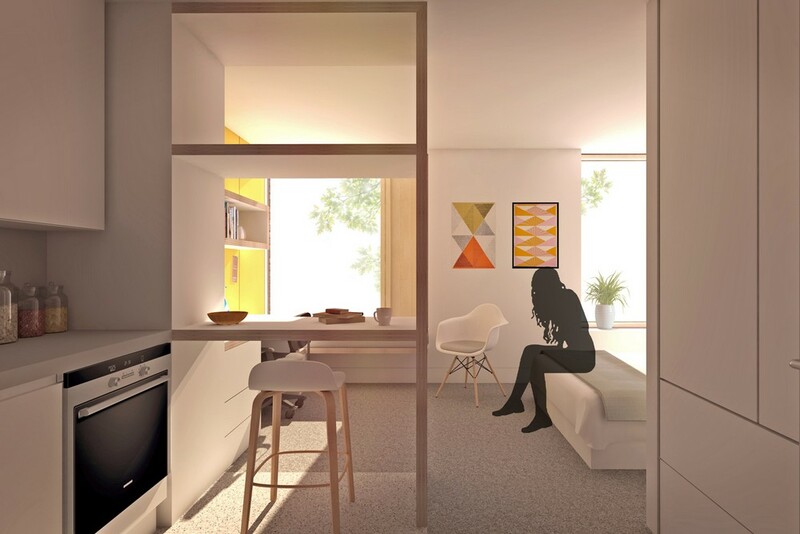 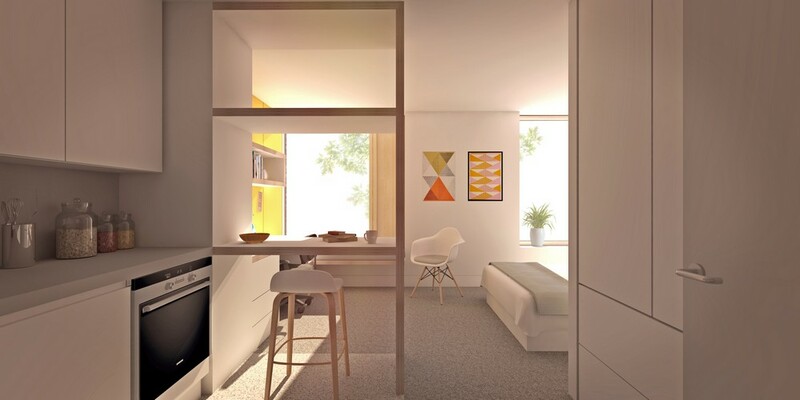 For residents of the building on campus, the specification and design of the buildings and the environment will provide a much sought-after and enhanced living standard, promoting healthier, happier students. The new Student Accommodation is expected to be complete by Summer 2020.